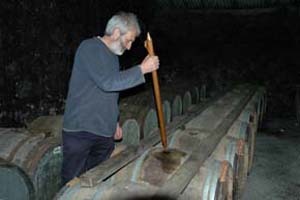 Bunnahabhain Distillery We depart from Edinburgh and drive via Stirling, Balloch, Loch Lomond, Inveraray, the Rest and Be Thankful Pass and the pretty fishing village of Tarbert, to the ferry crossing to Islay. The ferry crossing takes 2 hours. On arrival we go straight to Bunnhabhain Distillery for a tour and tasting and then on to the pretty village of Bowmore, the island capital. A tour and tasting at Bruichladdich Distillery is followed by a visit to Finlaggan, home for hundreds of years to The Lords of the Isles, who ruled the seas and the islands of the West of Scotland. Free time for lunch in Port Askaig, the tiny ferry port for Jura. 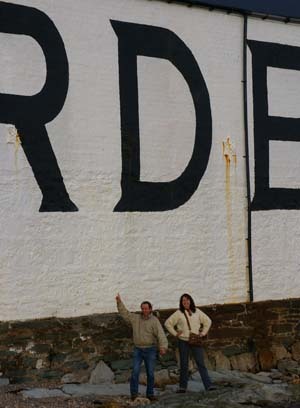 We then take the short ferry crossing to the Isle of Jura for a tour and tasting at Jura Distillery. Return ferry crossing to Islay. 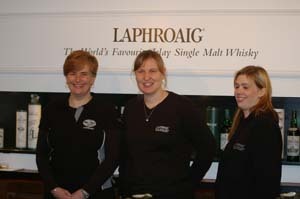 Laphroaig Distillery Visitor Centre We start the day with a tour and tasting at Laphroaig Distillery, followed by an optional walk to Ardbeg Distillery, the vehicle will of course be available depending on the weather, or walker's fitness. 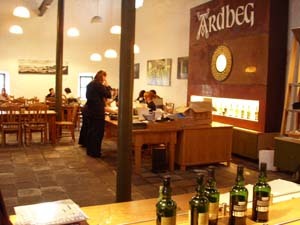 Then it's time for lunch at the excellent cafe at Ardbeg Distillery, followed by a tour and tasting. A visit to the ruined 13th century chapel at Kildalton, site of one of the best and most intricately carved Celtic High Crosses, dating from the late 8th century and one of very few crosses still open to the elements. The cross was probably carved by monks from the Holy Island of Iona, established by Saint Columba in the 6th century. 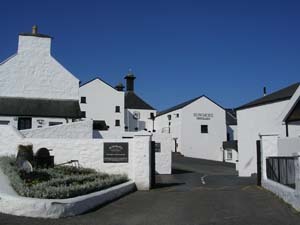 Finally time for a tour and tasting at Bowmore Distillery. After breakfast we leave Bowmore to take the morning ferry back to Tarbet on the mainland. On the way back to Edinburgh we can stop off at the pretty little coastal village of Inveraray, with time either for lunch, or a quick visit to the Castle, the Maritime Museum, or the 18th century Jail. We arrive back in Edinburgh at about 17:30.